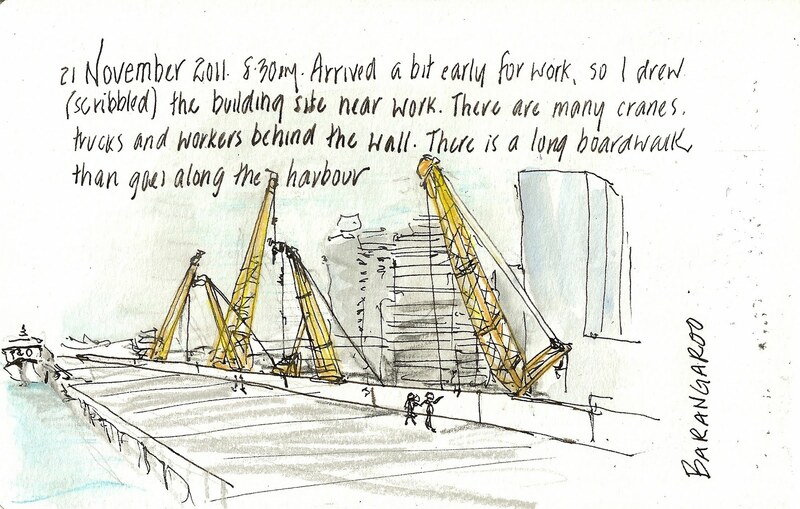 Barangaroo near Darling Harbour in Sydney city is a big building site at the moment. But you can walk down along the wharf and see what is happening. 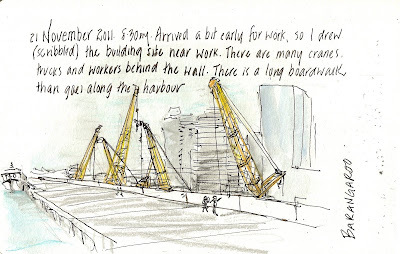 I am also fortunate that the building I work in overlooks the site. I want to come into work one weekend and draw the cranes and trucks from above. They look like Tonka Toys.